UCF Bearing Housings in Cast Iron and Steel. Bri-Mac can manufacture these Bearing Housings in Flame-Cut Steel resulting in a much stronger product compared to the standard Cast Iron unit. Manufactured to suit any Bearing size. 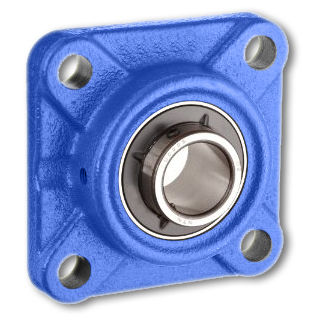 Bri-Mac can supply this range of Bearing Housings in Flame-Cut Steel if a faster delivery is required. This material can be sourced much quicker and will also be stronger than standard Cast Iron Bearing Housings. The end covers can also be split to help aid assembly.